After the role-playing/multiplayers games there has to be more. These are played through a network also with other people socializing as allies or enemies and we can also think it has both the pyhsicalty and digitalty, but it lacks mobility. Which leads us to cellphones or PDAs which we can carry with us everywhere and have internet- wiFis and use them according to our needs such as booking flights, communicating 3G. plates with the specialized tool I am mobile. And the plates are more than they seem like a barcode when I touch my spoon to the plate, I see a color and a sound which is the sign for me that I just took that recipe. (physicalty) well the part about sharing / multi person..
get some help about searching the plates and interact with people. If these are acceptable I think it is hybrid space. When I go home I should have use the web page and give my spoon number to see numerous of recipes due to my performance on my PC. Since I was on a trip I forgat it some where. Sorry for not writing a recipe. I have another example whidescribe linkch I thought of a Hybrid Space due to definitions in our course. they have some tool as well the operation completed. 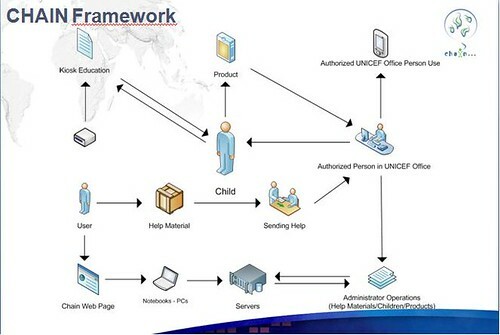 It is multipersonal, user can be mobile during these executions, it needs a network over the Unicef Office and to tools and to childs page and database. It is both physical and digital. The tools child need given with for real.